For years, I’ve been on the sidelines of the exploding mobile market. While I’ve been obsessed with and up to date on mobile technology, I’ve never had a Sidekick or a Blackberry (or even a Razr) because of the costs. Only now am I upgrading my phone to something “smarter”. 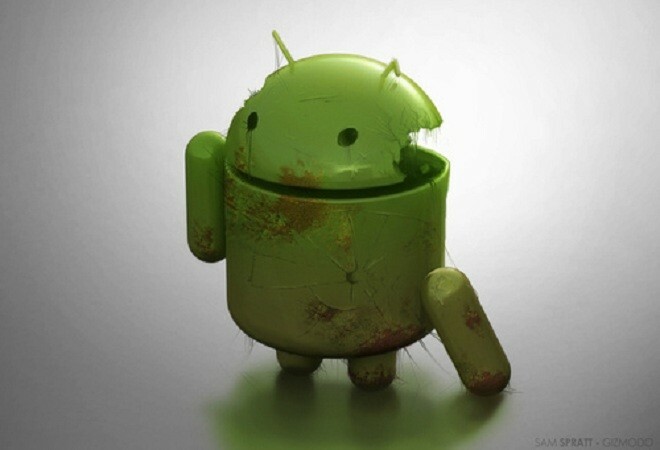 Android’s market share skyrocketed during its short lifespan. After operating for two years, Android Inc. was acquired by Google in 2005. Google publically unveiled the Android distribution in late 2007. Four years later, Android is now estimated to make up almost 50% of the worldwide smartphone market (according to Canalys). Apple’s iOS, on the other hand, is estimated to make up only 19% of the mobile market-share. So, how did Android manage to overtake iOS, despite publically launching months later? The answer is decentralization. Android found strength in mass distribution. Google captured the hearts of companies like HTC, Samsung and Motorola by giving them a competitive platform for free, unknowing that Microsoft would eventually collect hefty royalties. This gift saved them in many ways, and brought intelligent phones to a lot of new pockets. At the bottom of the barrel, you can snag an Android phone for under $100 without a contract. Top of the line offerings like the Droid Bionic (pictured below) cost upwards of $300 USD even with a two year contract at Verizon. That’s the great thing about Android, it works with (almost) any budget. Unlike iOS, Android isn’t a one size fits all product. Besides the open price range, Android’s flexibility appeals to different tastes and allows for manufacturers to innovate in their own way. Our own Social Media Editor, Sherilynn Macale, took advantage of her Galaxy SII’s customization abilities and showed them off in her article on moving from iOS to Android (warning: her phone’s mind-numbingly cute). As you can see, there are hundreds of available themes and hacks that iPhone fans could only dream of. Android is also carrier agnostic, and benefited from the iPhone’s slow movement beyond AT&T in the U.S. Now that the iPhone has spread to 3 carriers, this advantage is slowly disappearing. Mixed Results: The Downside of Fragmentation. The worst aspect of Android is the freedom different carriers and manufacturers have. Just from the marketing end, the variety of similar looking devices creates customer confusion, and the worst Android implementations are usually the cheapest. Crappy hardware leads to a terrible experience, which makes everyone want to move on to something else. Hardware isn’t the only problem. UI replacements vary by manufacturer, and include Motorola’s Motoblur and HTC’s Sense. These implementations limit customization possibilities and provide a bland experience. It’s hard to imagine the idea of computer manufacturers creating their own MS Windows overlay, so why is this commonly done with Android? Unfortunately, a lot of the time these UI replacements are necessary. For example, the HTC Status (aka Chacha, pictured below) has a small screen and needed an optomized UI. OS fragmentation is another issue. Google relies on manufacturers and carriers to dictate when and if a phone gets an update, which kills the hype of new upgrades and further abstracts the Android experience. OS fragmentation also alienates developers, who must release multiple versions to assure compatibility with all devices. Here’s the ultimate problem: “Device envy” seldom happens because Android spreads itself too thin. Because there are so many options, there’s never one single product to lust after. The iPhone is just that: one OS and one hardware unit. The iPhone oozes envy because it is a single, tangible entity. When someone says they have an Android phone, it can mean almost anything in terms of quality and sophistication. There is a disconnect between the strong Android brand and the products outside companies throw together for a cheap buck. The biggest threat to Android may be Microsoft, because even though the iPhone continues to grow in popularity, it will likely never monopolize the market. Now that WP is up to par and available on many devices and carriers, Android is no longer the only way to escape Apple’s preachy fans. If WP starts picking up steam, carriers will promote fewer Android phones and average consumers will buy the new product that access Facebook and email the fastest. If Android does retain its mobile market-share, while growing on tablets (things can only get better at this point), it will at the very least survive a long while. But if Microsoft blows its chance with Windows Phone, something else will step in as Android’s new threat. Decentralization is both a blessing and a curse. It’s gotten Google far very quickly, but may end up causing a slow down later on. The iPhone and Android are both stronger than ever before, clearly hurting RIM’s share, and only time will tell us what survives. After harping on all of Android’s problems, the solution is still unclear. Now that Android has achieved market dominance, I feel Google needs to start enforcing a more unified user experience. They need to create something consistently brag-able. What do you think is the next step? Should Google tighten its grasp on Android, or will that reverse its progress? Let us know in the comments!